Will regular revalidation for nurses reduce medical negligence claims relating to poor nursing care? 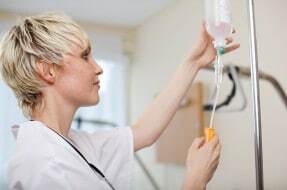 The Nursing and Midwifery Council (NMC) has launched a consultation process into a system of revalidation for nurses and midwives. The proposals mean that nurses and midwives would need to demonstrate at regular intervals that they remain fit to practise and adhere to professional standards. A system of revalidation for doctors was introduced in December 2012. In September 2013, the NMC first committed to introducing a “proportionate and effective model of revalidation” by the end of 2015, which would enhance public protection. It also committed to a form of revalidation which would require a third party (an employee or manager) to confirm that the nurse in question is complying with the NMC’s Code of Conduct; further, the employee or manager will have to pay heed to feedback from patients, service users, carers and colleagues before confirming that the Code is being complied with. One of the reservations about the revalidation process already being expressed in online posts by nurses is the issue of whether managers are actually the right people to be performing revalidation; certainly the experience of Stafford was that often managers were deeply implicated in poor conduct. However, it is hoped that the obligation to seek feedback from a wide variety of stakeholders, especially patients and carers, will serve to make the process robust and fit for purpose. Revalidation has been mandatory for doctors since December 2012, and the feedback in relation to the process for doctors is that the key to preventing complacency is giving patients a voice, and an enhanced role and presence alongside peer feedback. In order to prevent any recurrences of the events at Stafford the key to the process of revalidation for nurses will lie in harnessing the views of patients and their families, and ensuring that they are heeded. If that happens there is a real prospect of medical negligence claims relating to negligent nursing care reducing in frequency.